Let us stand with them proudly! in addition to our regular sponsorships for Tibetan monks, nuns, children and elders. donate to support all our projects! Sponsor a Monk or Nun! Sponsor a Child at the Tibetan Children's Villages! Sponsor a Child from a Tibetan Refugee Village! Sponsor a Child within Tibet! Give a Gift that Helps the Tibetan People! Want to give a special and meaningful gift? Know anyone who stands for justice, peace, and basic human freedoms? 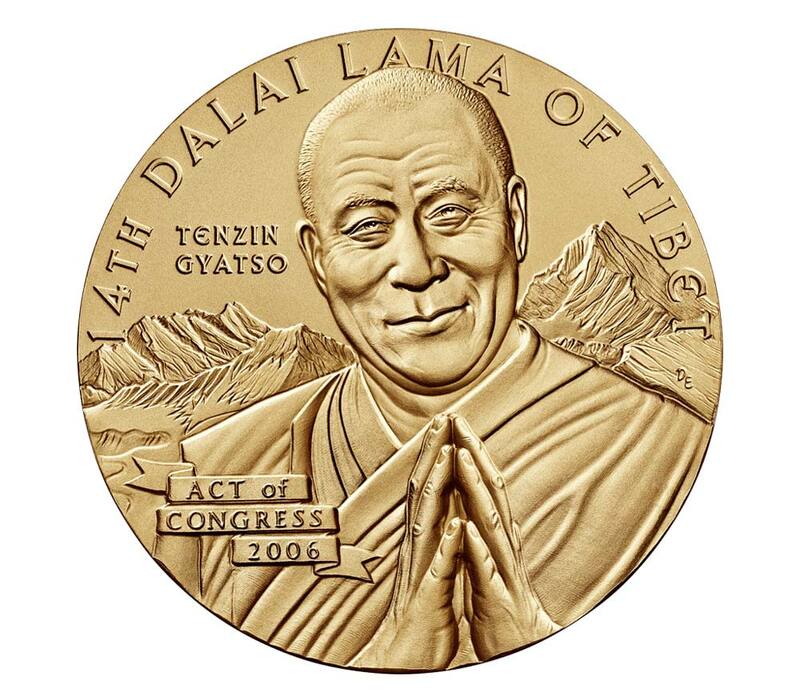 For each general support donation of $25 to enable Tibet Aid's work, we will send as our thank you to the recipient of your choice anywhere in the United States a 1 1/2 inch bronze replica of the Congressional Gold Medal awarded in 2006 to Tenzin Gyatso, the 14th Dalai Lama of Tibet! Give a gift that sends a message of unity and hope for the Tibetan community! home at school holidays with a donation of $50! TIBET AID is dedicated to providing humanitarian assistance to Tibetans in Tibet and in exile. Our vision is to see the Tibetan religion and culture remain alive and flourish. We believe that one day His Holiness the Dalai Lama will return to a free Tibet. We hope that His example of compassion and non-violence will be the cornerstone of all governments of the world. under the 501(c)(3) provisions of the US Internal Revenue Service.